I gave my life to Jesus Christ when I was 13 years old and immediately felt called to be a minister. When I was 18 years old, I packed my car and moved from Pittsburgh to Dallas to attend Bible School. It was there that my fire for women’s rights in the Christian Church began! I was confronted by “the cool guys” and told that my dream of being a leader in the Church was a sin because women were not meant to lead men. Little did they know, they were fueling a fire that still burns today. I became “armed and dangerous” with the truth of the Holy Bible and found out that they were misinterpreting scripture. Since I greatly value the authority of the Bible and I knew that those who opposed me did too, I sought higher education. I completed an AA in Practical Theology, a BS in Church Ministries and an MA in Biblical Studies with an emphasis on Christian Doctrine and Church History. I wrote my master’s thesis on female leadership in the first and second centuries of the Christian Church, using the Bible as my primary source. I am a sold-out follower of Christ and I have made it my mission to tell others about His amazing, non-judgmental love, as well as His radical counter-cultural empowerment of women & girls (Read my master’s thesis here). 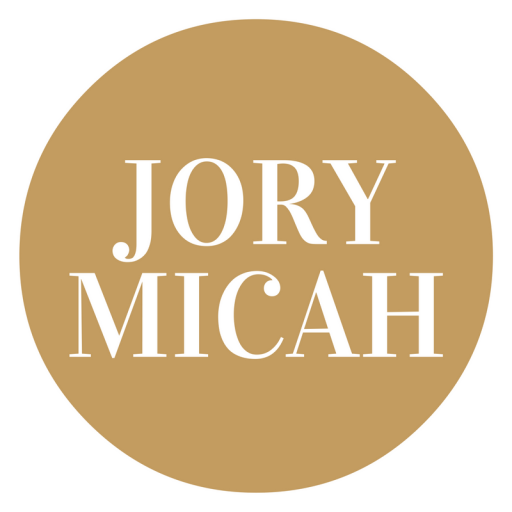 I am a traveling speaker & minister (email me directly at jorymicah@gmail.com if you are interested in having me speak at your church, college, conference, or event). As a female pastor & writer, I advise & support women and men of all different ages online via skype or phone on all things life & online platform building (email me @jorymicah@gmail.com if you are interested in setting up an appointment with me). Explore my website for more details on my speaking & my Christian advice and support business. Further, my first book is nearing completion – “Breaking The Glass Steeple” (publishers, please contact my literary agent at rachellegardner.com). In a nutshell, my heart beats for Jesus and social justice, especially for women & girls.